Another recognizable object that I've photographed before is on the IAS observing list for January. 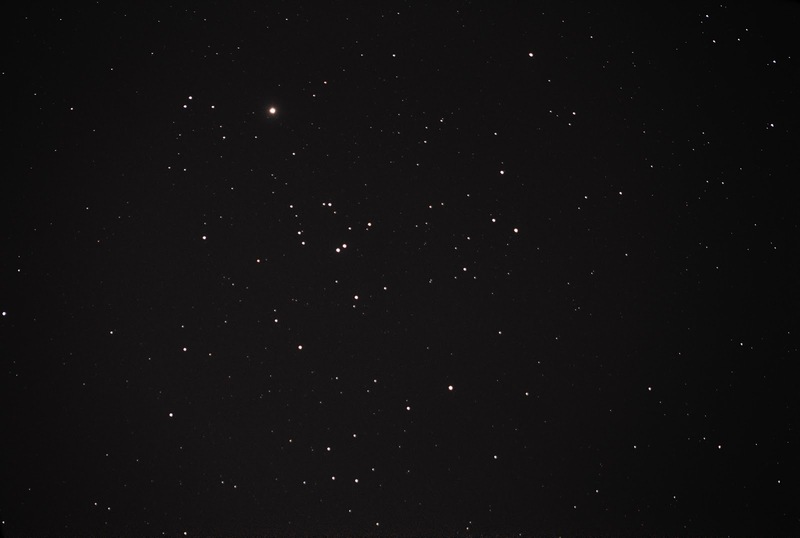 I'm happy to revisit the Hyades star cluster with my new camera! I took a series of short exposures and stacked the images in Deep Sky Stacker. 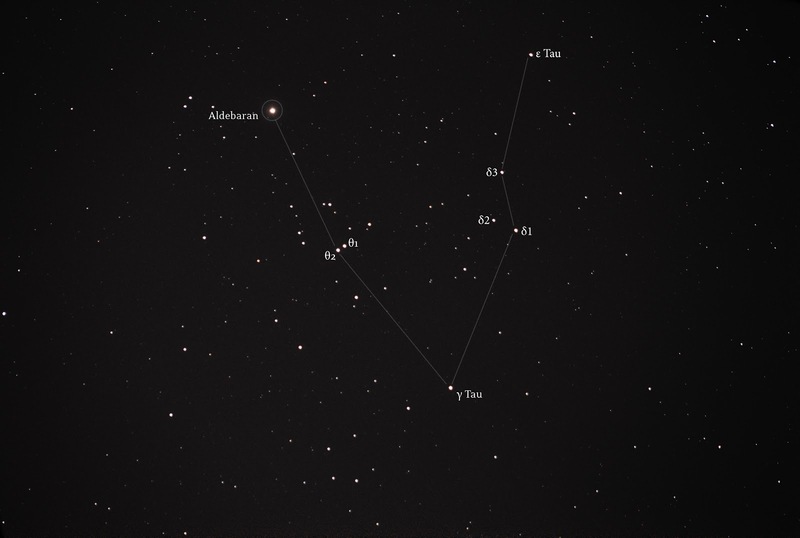 Typically this brings out more stars which is great, but makes the original asterism less apparent - so I've included some labels and made a little star chart out of my final image. 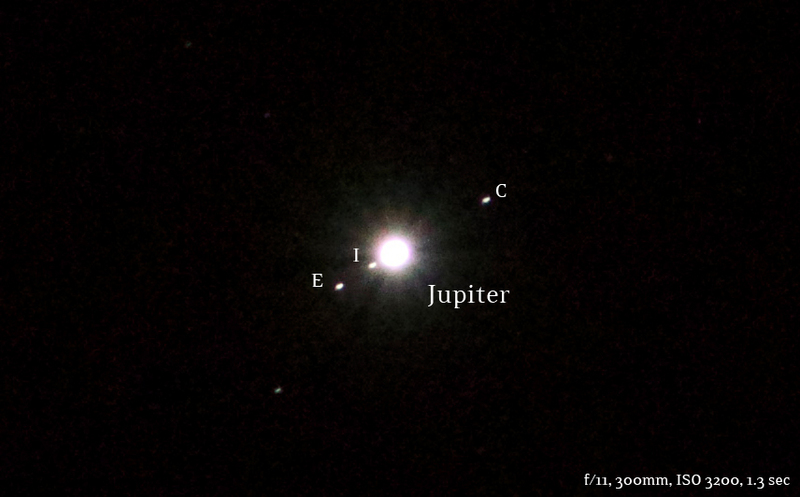 That same night I also snagged a quick photo of Jupiter with my T5i on a fixed tripod. Still waiting for some warmer weather to take my mount out to play with it. It's going to be a low of -17°F on Monday. This winter is the worst!